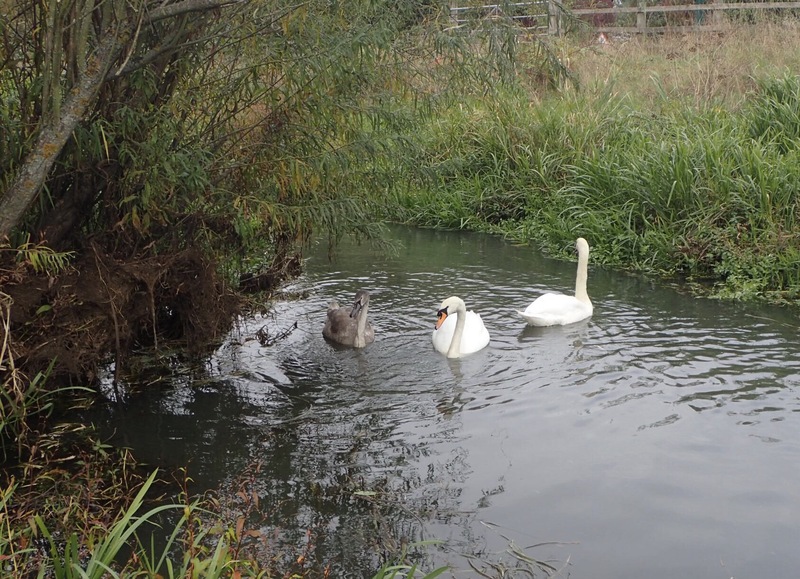 The river Loddon is a tough river to conquer. It is true I have had success in the past, my personal best Barbel of over sixteen pounds is proof of this, but this season I have struggled to maintain consistency. 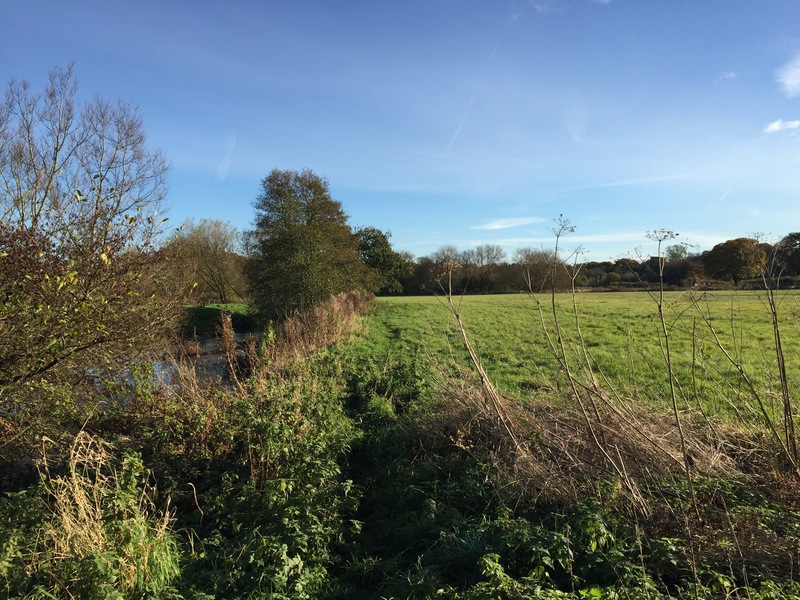 I got chatting to a fellow angler earlier who had been informed by his enthusiastic friends that this particular stretch was full of barbel and would be a good place to put a bend in the rod. After spending a few hours on its banks realisation was starting to set in that this could not be further from the truth. A fact that was making him consider making a longer journey to the Wye or the Trent to fulfill his fix. You see it’s a question of patience and it seems that few have this attribute when it comes to understanding a stretch of river like this. I will not admit to knowing this stretch as well as some but I am starting to get a ‘feel’ for it. Treading its banks again this Sunday afternoon I wondered what was in store for me. Could a Barbel or Chub be tempted? The weather was bright and dry and after the passing rain that had been with us all day yesterday I had expected to see a little more flow and colour to the water. 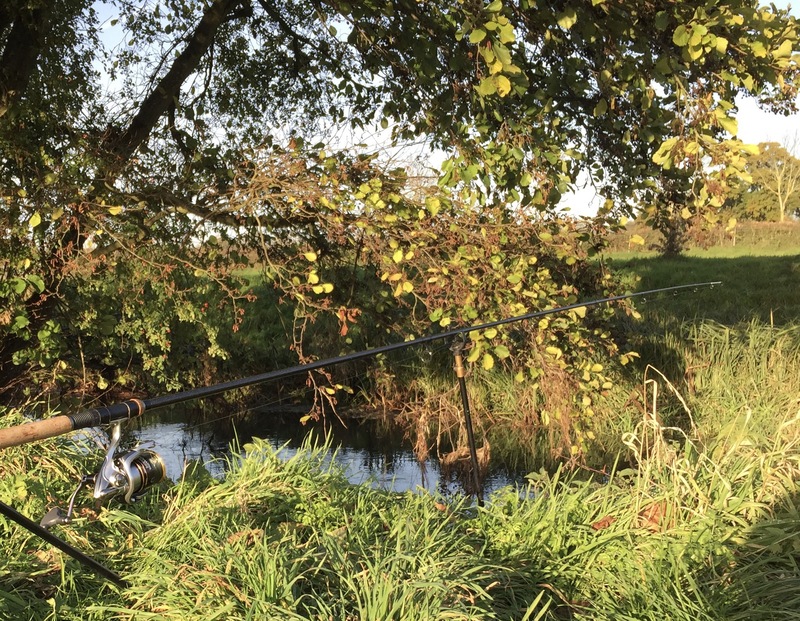 Even at this time of year this section of the river is small and overgrown, it is often a case of placing your hookbait into spots, no casting is necessary. On my way to the end of the stretch I fed four swims with a little hemp and two or three broken boilies, it was my plan to spend no longer then 30 to 40 minutes in each location before moving on. My plan was interrupted a little when two other anglers decided they would also give the river a go today. This is unfortunately the risk you take with pre-baiting spots as they promptly dropped into two of them. Staying a little longer than was planned in the first spot gave me the chance to take a sandwich and a drink contemplating my next move. As nothing was biting in the first swim I decided a quick move to an un-baited spot was on. In this spot the rod tip twitched a little indicating something showing interest but not enough for a bite to develop. On reeling in it was soon found that the Crayfish had been responsible. There are quite a few on this stretch now. After replacing the whittled bait with a new one the same result unfurled. Time was getting on so after another move to one of my pre-baited spots was uneventful I decided one last move was in order. This spot opened up a bit giving more room to the angler. I had also decided a change of bait was needed to avert from the Crayfish, more in hope than any pre-conceived plan. I had some Lobworm left over from last week and hoped a Chub or Perch would oblige. The bait had been in the water a minute before the rod tip twitched showing a bite, but my reflexes were too slow as my resulting strike met with fresh air. I contemplated calling it a day fearing this action might have spooked the swim. I decided however to try for one last twitch. 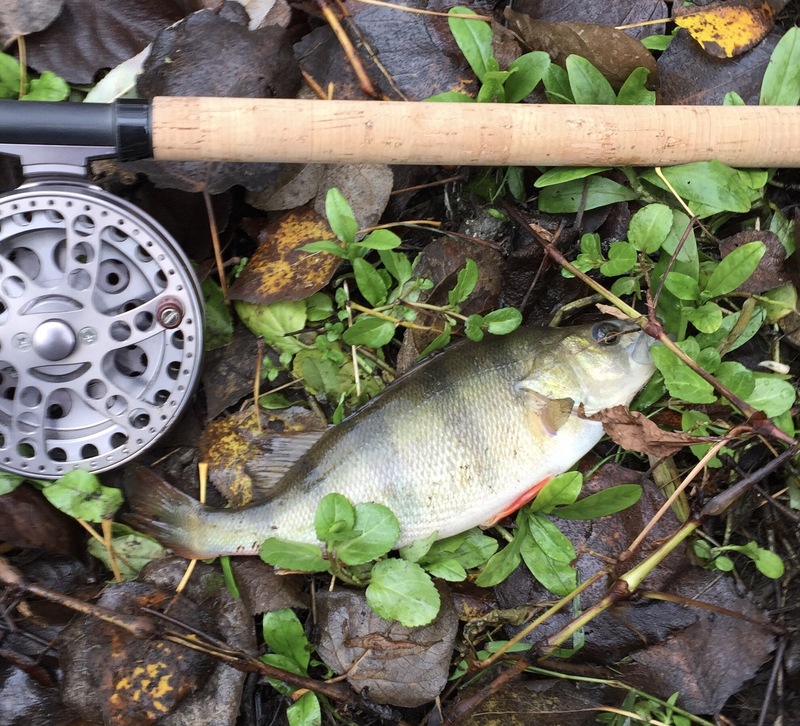 This time I held the rod and reel in my hand with only the top section being supported by a rest and the line passing through my thumb and forefinger. When the bite came I was ready and met with solid resistance on striking. 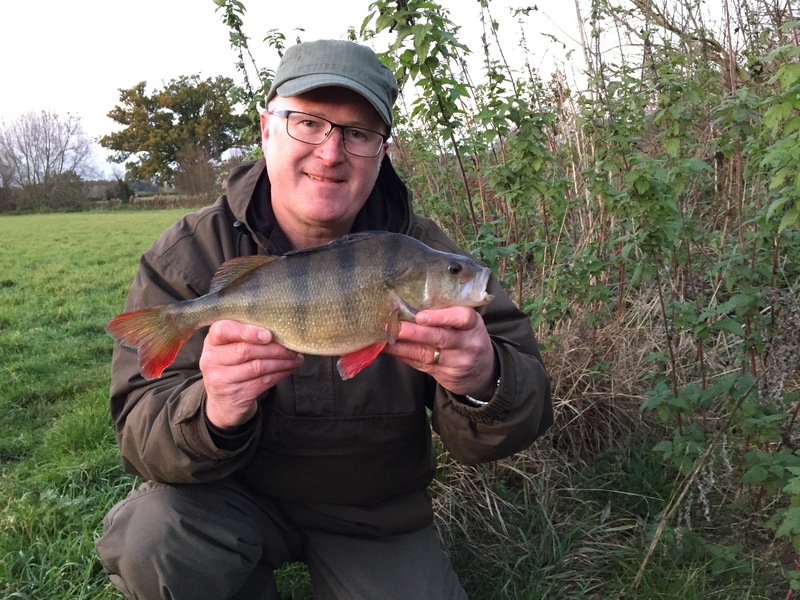 The result was a surprise Perch of 2lb 4oz. Happy with this I called it a day. Dedicating time to our ‘hobby’ is easy when you are young and single, but more difficult when you are juggling family commitments with a busy work schedule. If you fall into the young and single category, good for you, enjoy it while you can! I however fall in to the latter category and must grab opportunity when it presents itself. So, before the wife books anything else in I have 4 hours to spare. I have decided, with limited time, to take the trotting rod over to my local River Blackwater. This river never ceases to amaze me. Its natural beauty alone is enough to gladden your heart and soul. If I’m not fishing it, as time does not always allow, walking the dog along its banks is always a good way of keeping tabs on the changes seen as we move through the seasons. It is this time of year, when the abundant weed is dying back, that I find myself being drawn to the chance of presenting a float and angling out a fish or two. The river is rich in wildlife and my target was to be Roach and Chub. The small stretch that I settled in was no more than 4 metres wide but long enough to run a float down and show something for it. Air temperatures were dropping, although be it to the average for this time of year. The recent rain was needed, but was only enough to add a little colour to what had been a very low clear river. 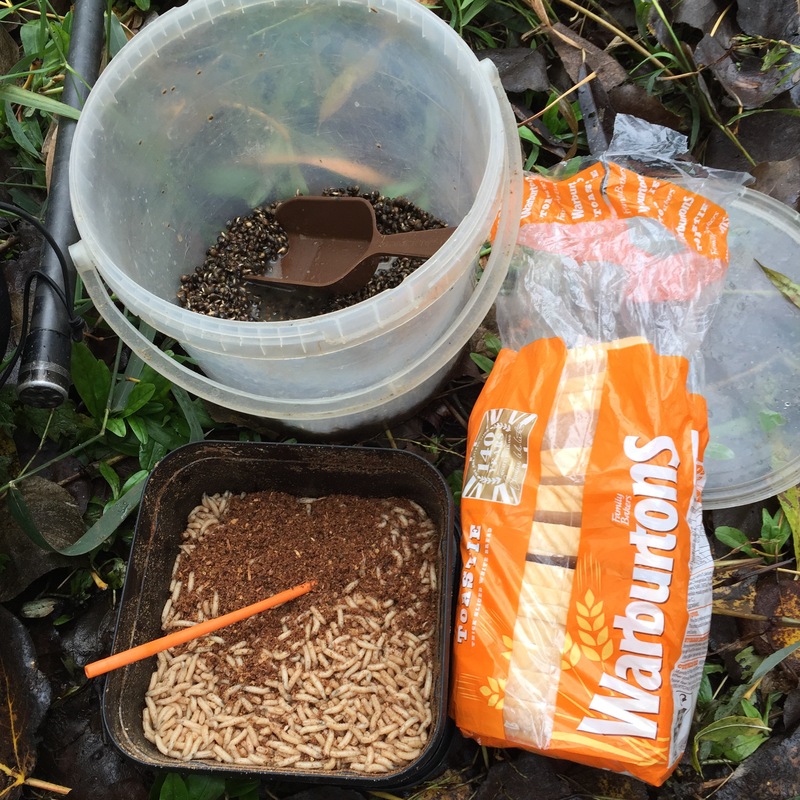 My bait was simple; sticking to the trusted white maggot, I also added hemp to feed. Bread was also carried as a backup if needed. While setting up the tackle, I loose fed maggots, maybe 10 to 15 every 30-40 seconds slowly building up the swim with the view of gaining the fishes confidence and working up their appetite. This process of feeding continued for a further 15 minutes. Normally I like to feed for a little longer, but time was against me, and anyway, I was keen to find out what was beneath the surface. My first trot was halfway down the stretch before the float dipped and I connected with a half decent Roach. This was to continue with good Perch and Roach coming to almost every trot. The feed was continued after every cast, albeit with half the quantity previously mentioned. 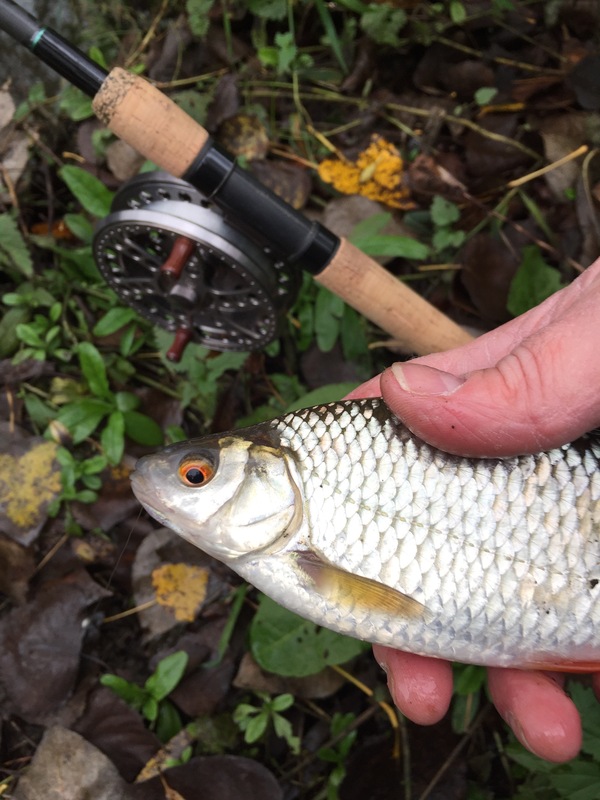 The Chub did not show up this time, but I was not disheartened, as I knew given more time or another opportunity the river would not disappoint. Although time on the river this time was short, it was long enough for the fish to feed and the mind and body to unwind, this is after all why we go fishing, isn’t it? So, it was with a smile that I finally decided to pack up and head for home, as the next family function was only an hour away! My name is Cliff and I have finally decided to blog about my fishing exploits. Making this blog will help me categorise my fishing trips and photos, making it easier for me to refer to them in the future. It will also enable me to share my experiences with others and hopefully learn something along the way.